Man’s a microcosm, or a little world, because he is an extract from all the stars and planets of the whole firmament, from the earth and the elements; and so he is their quintessence. As you are no doubt aware, some major shifts have been taking place on our planet just recently--causing things to become quite interesting! Our political, medical, educational, social and religious institutions are all undergoing scrutiny and radical changes--and with these changes comes a need for us to look at ourselves. This need for personal discovery is actually a blessing in disguise--as we have discovered that the old, worn-out, limiting beliefs and unresolved emotional traumas all challenge our cherished illusions as to who we are. 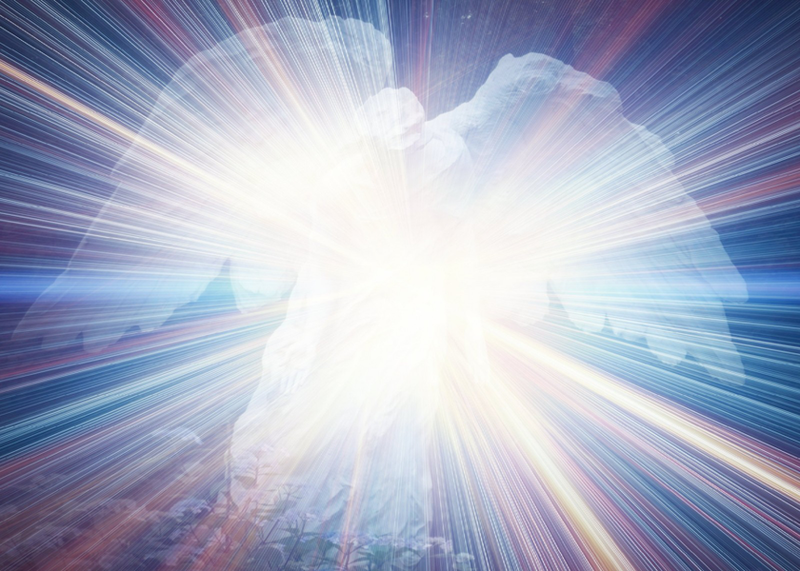 The inner drive of becoming a whole, multi-dimensionally aware, higher self-aligned being is now a prime goal for many people, but the actual clearing process can be so intense it can daunt even the hardiest of souls! And as we shift our beings into a higher octave of awareness, authenticity and integrity, so will our outer world--our collective reality--shift, as indeed it must. For you see, we have long passed the point of no return for the earth on this 3rd dimension. She must move forward into a more refined state of being, for that is what she has chosen to do and she is taking all of us with her. But do we choose to move with her, not in a state of resistance and fear, but in an accepting and trusting surrender to all that is good and pure within us? And how do we move forward after so many incarnations of pattern-driven, fearful behaviour? 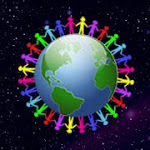 How can we learn to live in harmony with other human beings, the devic, animal, plant, elemental and mineral kingdoms? Perhaps understanding the alchemical process can give us a roadmap for the spiritual path we must tread if we are to make the changes required for our growth. Alchemy may be defined as: "the chemistry of the middle ages, the chief aim of which was to change the baser elements into gold". It was a specialized science in which only a few people truly lived up to the label, alchemist, as there were many charlatans, few authentic. A few of the clear-visioned who were the real thing include Flammel, Paracelsus and the Comte de Saint Germain. They knew that this was only one aspect of alchemy and that the true art and science is a purification process, a psychological transformation. As in the alchemical lab, both physical and psychological processes pursue pure essence. There are three main stages of the alchemical process: separation, purification and recombination. An excellent flame to use in this step is the opalescent white flame as it helps us to see the truth and beauty which is in us. This white flame connects us with our guidance and lightens all aspects of ourselves. Summon this flame to clear issues of truth and feelings of separation. Recombination (or coagulatio, the alchemist's name) is the condensation of purified, compressed substances while working in the alchemical lab. When pursuing transformation of the psyche, the same result occurs. A new, purely refined essence results from both processes and as we pass through this stage an opportunity is offered for a reunion with all that is pure within. This state of self-realization may be immediately known, or many more rounds of distillation may be required. 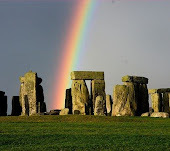 Coagulatio is the reconnection with a more harmonious, yet grounded lifestyle and it is in this spiritual state that we are released from a limited personal view and connected for a time with our guides, higher self and obtain a more holistic viewpoint. Purification (or sublimatio, the alchemical name) is an uplifting process that transforms a condensed substance into one that is less dense. The soul is temporarily freed from the earth plane, perhaps through out-of-body soul travel, or other states of cosmic awareness such as teleportation or levitation. We have understood and practised a limited range of physical laws. We can perceive matter as our created world in which we live and gravity--that which holds us onto the surface of the earth, but there are other forces at work--forces which we are only beginning to understand. In duality there has to exist two opposing forces: for example, good and evil. Therefore, if there is matter, there must be anti-matter. If gravity exists, so must its opposite force, anti-gravity. When then could we not incorporate them for a full experience of this plane? Only a few people throughout recent history have understood the inherent nature of physical laws of duality, which are ultimately an illusion. The spiritual alchemical process, in addition to purifying and elevating us, also enables us to see the illusory nature of things, recognising that only Oneness is real. Therefore, when we activate and incorporate natural forces such as gravity, anti-gravity, matter and anti-matter we become the true alchemists we were intended to be. It is then that we are better able to understand our observer/participant nature and become more aware of the mysteries of life, and our own greatness. In addition, (in our own mind) we seem to be relatively insignificant in the grand scheme of it all, like a grain of sand on a beach--but never underestimate the unfolding empowerment that can evolve from that perspective, should we choose to fully encompass that infinitesimal aspect of ourselves. We are the mystery of our own creation while we simultaneously create our own reality. Now, we are more prepared to co-create in harmony with Mother Earth as it was always intended to be. We have allowed the alchemical process of transfiguration to refine us in the crucible of this earth's laboratory. We have begun to realize who we really are. We are the macrocosm and we are the microcosm and we see all life, all creation as ourselves; we are Love embodied, each a part of the Great Whole, with separation as the "grand illusion"! 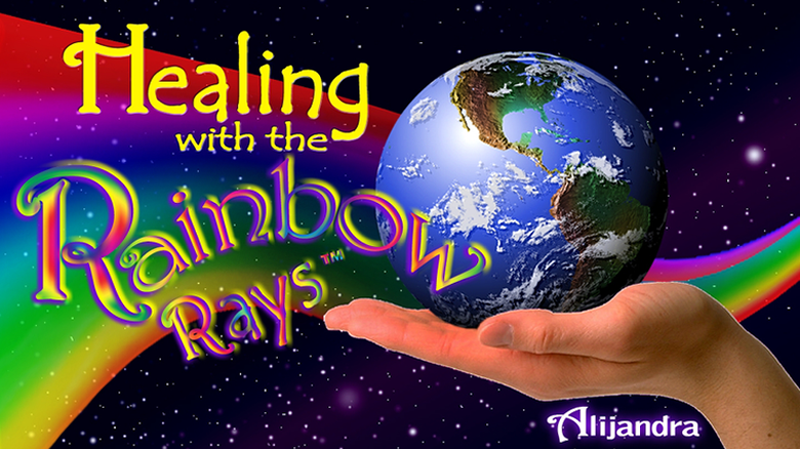 *For a more detailed description of what the rays do, please refer to my book, "Healing with the Rainbow Rays". The flames are detailed in my next, not-yet published book. 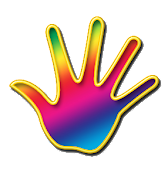 Both rays and flames are taught in depth in the color classes.